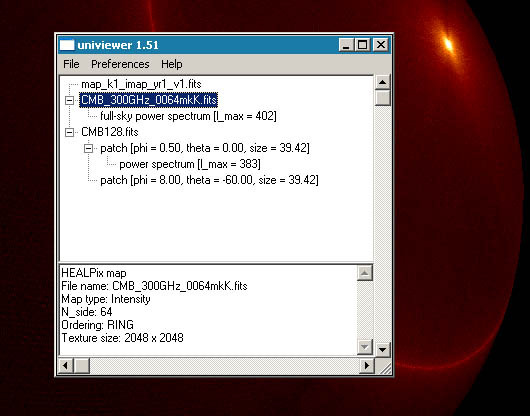 Since Univiewer uses OpenGL for 3D graphics, its performance is dependent your video card. It has been tested successfuly on computers with as little as 8Mb video memory, but it is recommended to have at least 32Mb to get good peformance. 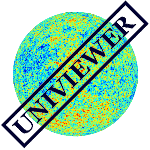 Univiewer main window. A tree view shows a list of open windows and information about the maps displayed in them. 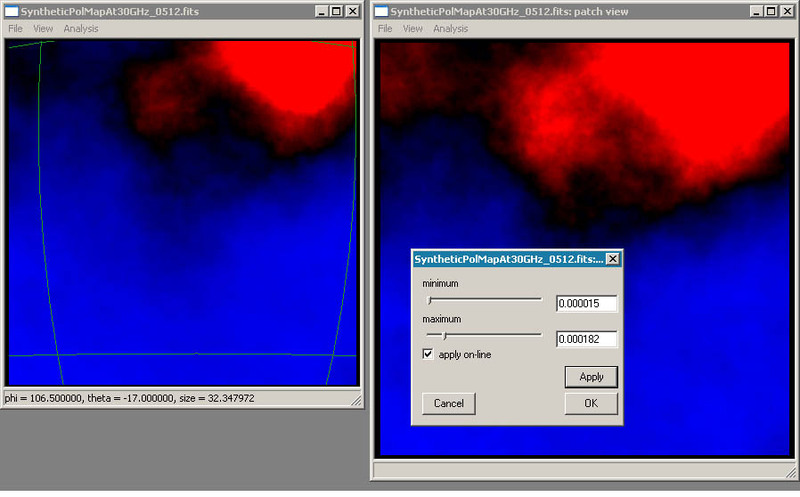 Changing the minimum and maximum values of the colourmap makes it easy to inspect faint structure. 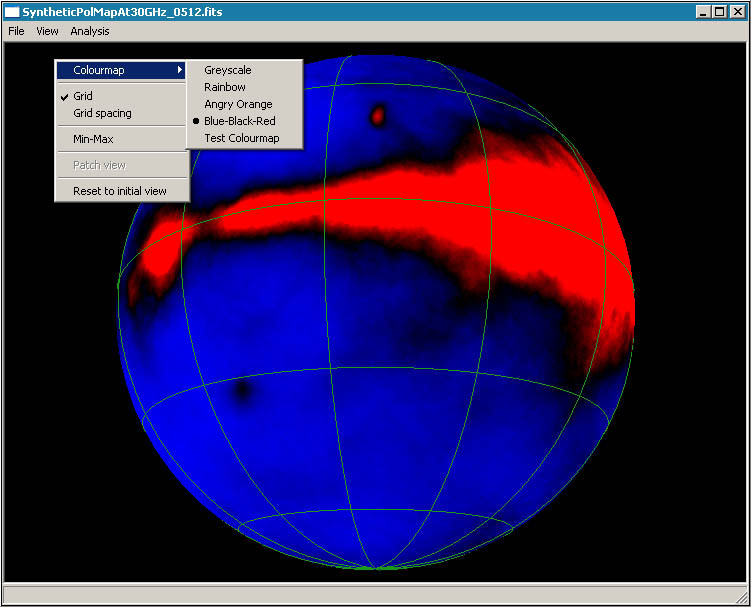 Any section of the sky can be projected onto a square patch and viewed at full resolution. The power spectrum can be calculated for the full sky and for any projected patch of the sky. Unix/Linux with cfitsio, fftw 3.0.1, wxGTK and wxGTK-gl libraries with their development packs installed. Please note that these are the standard packages in most of Linux distributions (e.g. Fedora, Red Hat, etc). Windows XP: Unpack archives, copy shared librares *.dll to c:\windows\system32 folder. Run wxMSW-2.8.9-Setup.exe to install wxMSW library. Run univiewer-1.63.exe. Unix/Linux source: Check that all necessary libraries and their development packages are installed. 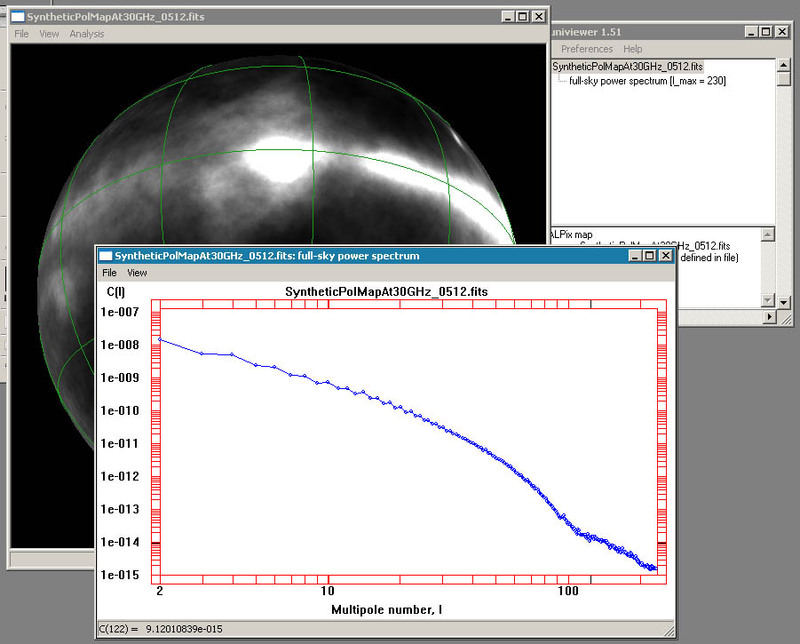 Unpack the tarball archive and run ./configure, then use "make" to compile the program. See README file in the tar archive. The developers acknowledge support from the Astrophysics Group, Cavendish Laboratory who sponsored the visit of SMM to the UK. 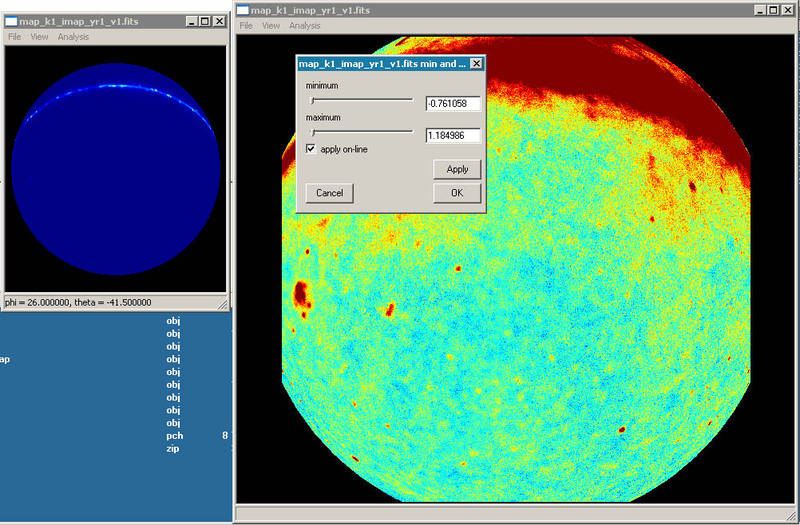 We welcome feedback and suggestions to help us improve the code in the development of Univiewer version 2. Please send all bug reports to the above email addresses.